Former Telstra consumer marketing chief, Inese Kingsmill, has resurfaced as the new head of marketing and customer engagement for Virgin Australia. 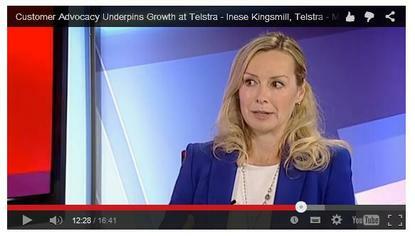 Kingsmill was most recently the director of consumer marketing post at Telstra until March, and previously director of corporate marketing for five years. Her departure coincided with a restructure of the marketing function led by Telstra CMO, Joe Pollard, which saw the consumer marketing role removed. Prior to that, Kingsmill spent 16 years with Microsoft in several marketing, sales and channel leadership positions. In a statement, Virgin said Kingsmill is taking a much broader remit than that of a traditional marketer, and is responsible for brand, marketing, online product and services, ecommerce, digital strategy, the guest contact centre and Virgin Australia Holidays. Kingsmill takes up the role officially on 12 December and reports directly to Virgin Australia Airlines group executive, John Thomas. Her appointment comes following a reshuffle of executive ranks in September that saw Virgin's chief customer officer position, held by Mark Hassall, removed and Thomas brought in as a group executive. It's also comes nearly six months after Virgin’s former head of marketing, Michael Scott, left the group and took up a newly created position of executive GM of brand and marketing at Myer in June. His appointment with Myer coincided with a restructuring of the executive ranks that saw Myer CMO, Daniel Bracken, appointed the first chief merchandising and customer officer.